Last summer the Museum of Copenhagen on Vesterbrogade closed to prepare for its move to Stormgade, close to the City Hall, where it will reopen in 2017. Until the new museum opens, it is possible to access some of its huge archive of maps and historic images on line or, and much more fun, by visiting Væggen or The Wall that is now set up on Dantes Plads - a couple of blocks south of the City Hall and opposite the Glyptotek. It is 12 metres long and looks a bit like a railway wagon but smaller and without wheels. One long side hinges and lifts up and out to form a canopy to reveal four large touch screens flanked by smaller display cases. One of those cases shows maps and background information about the current location, Dantes Plads, and the other images and artefacts that give a broad introduction to the archaeological work of the museum - primarily their field work to monitor and investigate excavations for either new buildings or the engineering work on the infrastructure of the city such as road works, drainage excavations or the extensive ongoing work on extending the metro. But it’s the four screens that are the important part. They are interactive and the most obvious way into the material is a scroll of images of people and places that look rather like cut-out paper and cardboard theatres for children from the 19th and early 20th century and below that are date periods and key words for the history of the city. Pointing or touching the screen with a finger brings up a bright narrow spotlight and you can scroll through the images, which actually run across two adjoining screens or bring images to the front to change the selection. Choosing an image or a date or a subject opens the equivalent of a work station with two to each screen so potentially eight across the whole wall. Suddenly you have access to a huge number of images and short captions with information and you can swipe through a sequence of images, move down to open similar subjects or link through to related topics. Many of the photographs and maps are from the vast collection of the museum but it is also possible for citizens and visitors to upload and tag their own images or you can add comments on existing media or even record a video-blog. The aim is to bring the city alive in terms of its social history. Generally these are not stock textbook or guide book views but show how people lived and how they reacted to their city. Visitors to the wall see those links to real people in the past and can see how life then was very very different or surprisingly and disconcertingly much the same and of course contributions added by the public will over time provide a fascinating window on life and attitudes now. Instructions and the information panels themselves can be toggled between Danish and English and The Wall is open every day between 8am and 10pm. 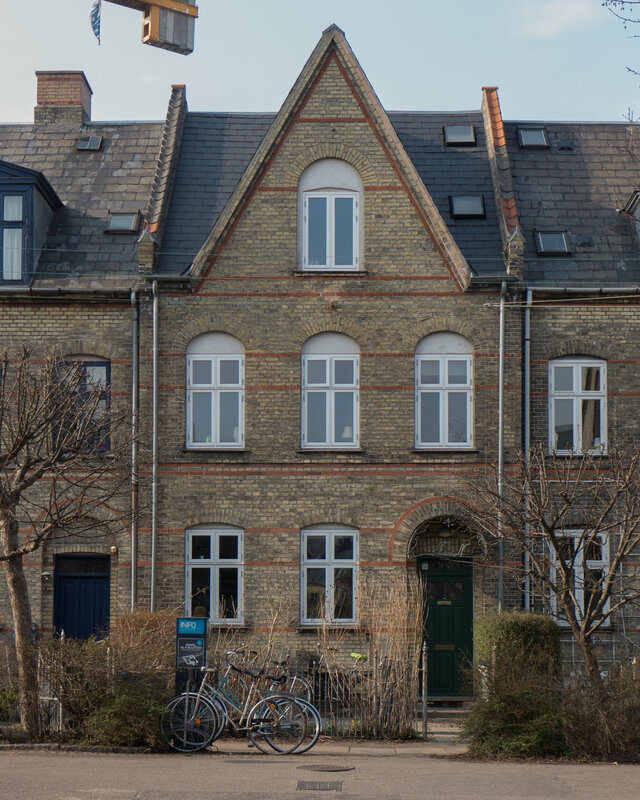 Væggen, the online site, gives a good initial impression of what it is like to use the wall and from that site you can access data and upload images … not just material about life in the city right now but also old photographs of Copenhagen or of your family and their life in the city. The exhibition Winter City continues at the Danish Architecture Centre in Copenhagen until the 21st February. In an earlier post I wrote about extensive improvements that have been made to the railway and metro station at Nørreport in Copenhagen. 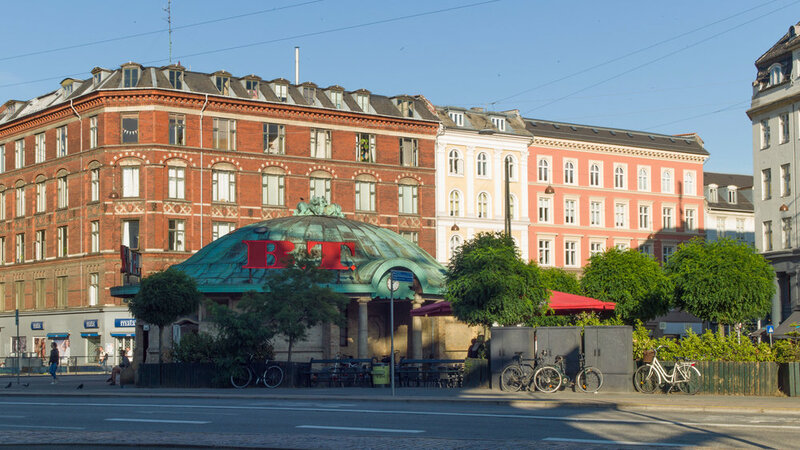 As the final parts of this major scheme of improvement are completed, there is now a clear incentive to restore or improve the buildings that line Nørre Voldgade and form the streetscape or backdrop to the new paved area that covers the three blocks from Gothersgade to Linnésgade.